Welcome Summer with A New Smile with Porcelain Veneers! 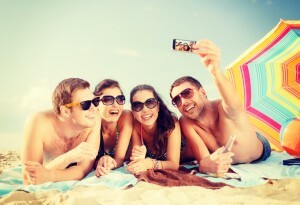 One of the biggest things people are doing right now is preparing for summer. Whether it is getting their hair done or buying all of the food to make for the perfect outdoor barbeque, everyone is excited to finally be able relax and have some fun in the summer sun! One thing people may be overlooking is getting their smiles ready for the season! If you have crooked, misaligned, chipped, or stained teeth, you may feel as though your smile will never be exactly the way you want it. There is no doubt you will meet many new people and reconnect with old friends this summer, and you may find it important to look the best you can. Fortunately, our Dr. J. Robert Donnelly is able to give you the smile of your dreams thanks to porcelain veneers. The start to getting your porcelain veneers begins with a consultation with Dr. Donnelly. There, he will be able to fully assess your smile in its current state, as well as ask you about your future goals regarding your smile. This will also give you the chance to address any questions or concerns you may have, as we want you to be fully informed throughout the entire procedure. Once it is determined that you are a candidate, that is where the fun and excitement! Your natural tooth is prepared for your porcelain veneers by removing a small bit of enamel. 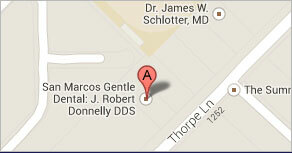 This way, we are sure your mouth has enough space for your new smile! 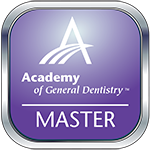 Your custom made porcelain veneers are then added, and are made permanent with dental resin cement. A simple procedure, but at the end, you are left with a completely new smile that anyone would be proud of showing off! If you are curious as to how we can help give your smile the makeover you deserve just in time for summer with porcelain veneers, make an appointment today, and the entire San Marcos Gentle Dental team will be glad to help! Comments Off on Welcome Summer with A New Smile with Porcelain Veneers!